This week I am working on Five and Dime. 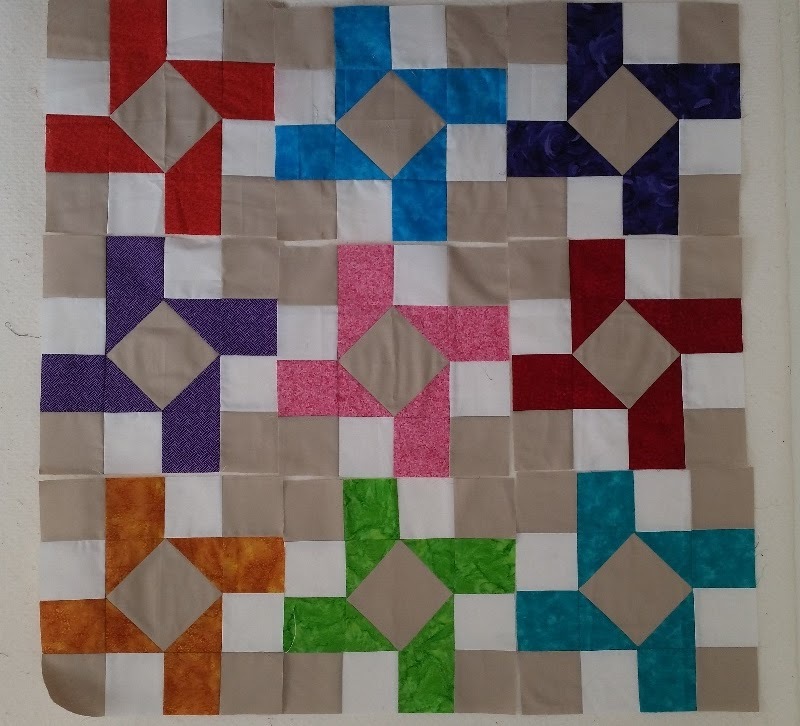 This is a super easy quilt made with a layer cake and a charm square pack. 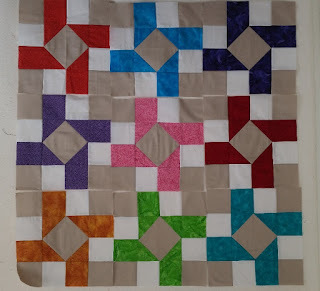 and I think I am just going to randomly put blocks together and then lay them all out. It should go together pretty quickly. 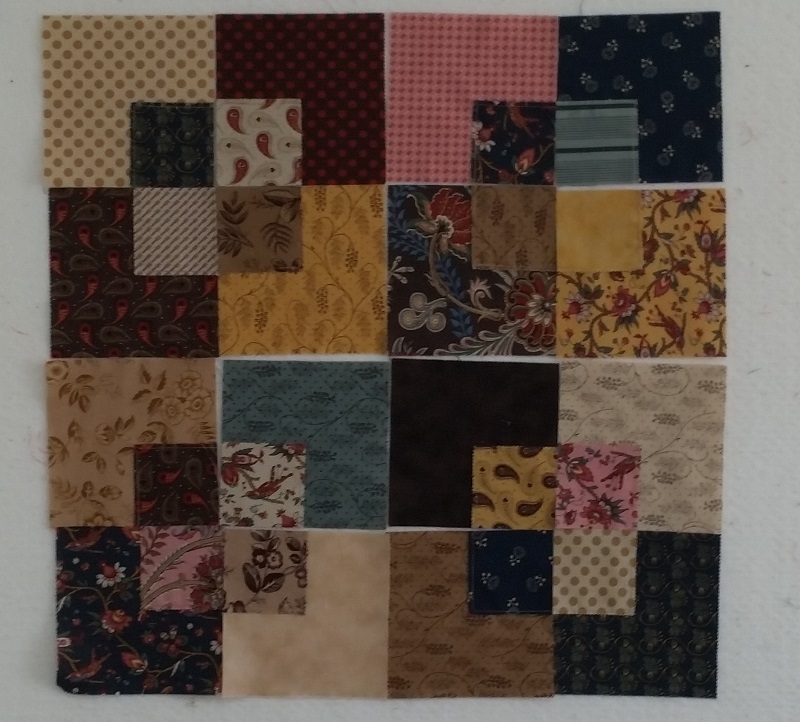 Below are 4 blocks ready to be sewn together. I also was the lucky winner of the BOM blocks from Sunshine Guild last night. Here are some of the blocks that I received. This is another easy pattern and will hopefully find some time to put these together and have another finish! 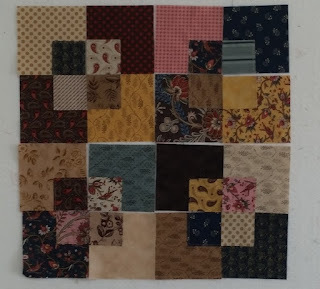 Nickle and dime quilt is nice, great scrappy quilt. The blocks you won are going to look nice together. Seems like you have won a few of those BOM. You go girl.